We are looking for some feedback on our current idea for how we'll organise staff on the server, we will have three positions to begin with where two focus on moderation and helping with OOC issues and one focused on creating more roleplay. These are Helpers, Moderators and Dungeon Masters, what they will do is detailed below. One of the issues we are trying to address with these positions is how easily storytellers burn out and/or disappear. While holding a title like Storyteller (Or DM in our case) there is often a pressure to perform which can be taxing, people often feel like they need to provide events or people will be bored and complain. I think we've all seen it. Players and storylines suffer from this when the storyteller in charge suddenly leave, often without having shared their plans, if they had any, for how to continue the storyline(s) they were hosting. So instead of sitting with the title and having a demand to create events we will give the title to people who have an event or storyline they wish to host. After you are done with your event you are no longer a DM, unless you're inspired and decide to host another event, perhaps a follow-up or something entirely new. Your job as a Helper should be obvious from the name, you're there to help people. Specifically you are there when someone needs help in-game, if they encounter a bug, need help navigating the RPG or get in a OOC conflict with another player. You are the support and moderator of the server, as such you will also be there to ensure people do not abuse systems or their peers. Perhaps the most important task is to keep the atmosphere on the server welcoming. Being a Dungeon Master is not a full-time job, instead you become one for the duration of a planned event or storyline. Anyone is welcome to try their hand and we encourage you to give it a shot at least once. Nothing is too small of an event and there are plenty of experienced people ready to help you out. As a DM you will have all the in-game permissions necessary to host both big and small RP sessions, be it a dungeon crawl or a religious rite. Your 'tenure' as a DM will last as long as you need it to, if you need a week or two to prepare for an event, by creating NPCs, decorating the event locale(s), etc you will have that time and enough to clean up afterwards. If you wish to host an event or storyline you will need to make an outline of what it is you wish to do, if you like you can even do it with a friend or two and share the workload. Think of this as the preparation a DM does before a Pen&Paper session. When you have your outline you post it to the Scriptorium forum, don't worry only you and the Council can see your post, and unless there is any clashes with other events or lore you will be given access to a Dungeon Master account. If there are any issues with the outline we'll help you sort it out. A few examples of outlines can be found in the post below but do not be afraid to innovate and make your own template, they absolutely do not need to be elaborate, it is only there to give us an idea of what you are doing and if you were to unexpectedly disappear (accidents happen. . .) we can carry on based on that information. For Helpers and Moderators there'll be an application, template below, thoughts on that is welcome as well! Hello. I am not concerned with the leadership as I think that the Staff should operate around the server owners and they can pick and choose who they want based on merit, but I really want to emphasise how important Dungeon Masters are to making a RP server feel alive. Whether small events or just flavor commentary from guards and civilian NPCs, DMs/STs/Weavers ( whatever you wanna call em ) make the world feel alive. While it's a great initiative to base the RP around players, we've seen before that RPers sometimes need a little push in order to get things going. So I really want to encourage getting as big a DMing team as possible and if the option for weavers ( flavor commentary for NPCs, summoning spell effects and small .gobs to enhance RP, small events resulting in minor rewards like some silver and mats ) is available, I would be interested in that. Generally speaking, I like it. Especially the idea of temporary DM rights is good. SHould make people feel a lot more comfortable with doing events when they don't have to apply for a full-time job in order to do it. I feel like the "Helper" and "Moderator" position could be put together. Both positions require a person to be empathetic, patient, social and ACTIVE (a helper isn't helping anyone when he's only there one hour a week). So a person that is a good Helper would also be a good Moderator, in my eyes. I actually agree with Foogleman, so just seconding his opinion here. In addition: I believe that next to the DM's there has to be people who are looking at the large scale of things, the big events shifting the story of the server, as well as incorporating the smaller events into the big picture. If there is such a team already, disregard this. In addition, I think it would be helpful to let us know exactly which people are on "The Council" as well as what their assignments are, so we know who to turn to for what. let us know exactly which people are on "The Council" as well as what their assignments are, so we know who to turn to for what. In regards to storytelling, I had this idea of Zone DMs once. For example, if you look at zones in WoW (retail), each zone has a distinct story that starts and finishes inside that zone. Each zone has a "theme" to it, as well. 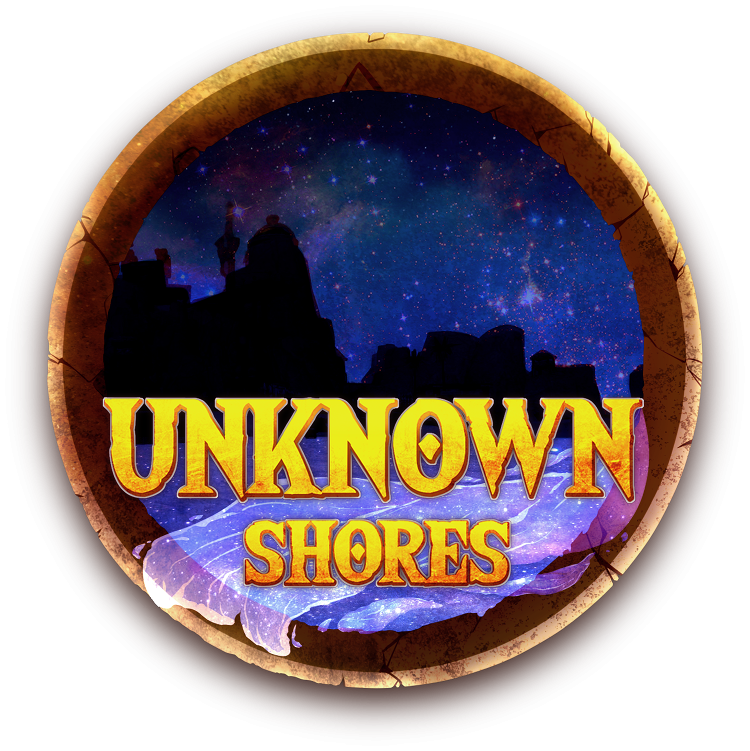 If I was in charge of managing the whole storytelling side of things here, I'd make staff-only subforums for each island and assign one dedicated DM to each island. That DM has two major jobs. First, he needs to represent the NPC presence on that island. This means, when he is online and has the time, he should just be present on the island and look at what players on there are doing, and have the NPCs react to it in a way he sees fit. His second job is to keep a basic "log" of this in his dedicated island-subforum, where he just briefly describes what is going on story-wise on the island, keep a short log of recent events and, most importantly, what is going to happen in the near future. As an example, let's say there is an island that has a small, local pygmy tribe on it. Players have not discovered the tribe yet, but they have been harvesting in their hunting grounds. The DM writes on in his subforum, that the Pygmy tribe is currently aware of the newcomers and weary towards them and their current course of action is to observe. This information is then useful, when in case of the absence of the Island-DM, any other DM can just quickly take a look at the subforum and know exactly what is going on there and how he should let the NPCs react if anything happens. So let's say players run across a Pygmy hunting party and the island DM isn't present, so a replacement DM takes over. The replacement DM knows roughly how the Pygmys would react, so he DMs this random event for the players. The outcome is that the players react very hostile and kill the pygmys. The replacement-DM can then go back to the forum and add what's happened to the "log", so that the main island DM can make a decision later on what happens next and what changes this small event will provoke on the island. This way, you have one DM basically being the overarching storyteller of that one island. He is the one that, in large parts, decides how this whole island will react to what the players do. While at the same time having every other DM being able to "jump in and be hs substitute in case of absense". The benefit is obviously that storytelling for each individual island is more organized, that there won't be much conflicting scenarios since there is just one guy per island making the big decisions, and that it'll overall be easier to keep track of things. Even if you do not pick up on the idea of zone-dms, I would still recommend making a staff-only subforum for every island were you guys keep a simple log of what is going on on that island, what events recently occured, what the "locals" on that island are currently up to and which stance they have towards players etc. etc. I would be interested in doing mostly moderating things and communicative stuff that would not require my direct in-game presence as much. I'd like to help people out, always have, though I'm not a good person to explain the RPG system to someone, I think. Therefore keeping conversation civil and doing people-stuff would be more my cup of tea. But that is ofcourse taken from my own experience/ my own interests. I do additionally think that a solid, big DM team with (can't emphasise this enough) CLEAR CONCISE RULES regarding their function is what will make or break this project. Made some changes based on the feedback, we discussed more in the council yesterday and you can expect a preliminary updated post later today.